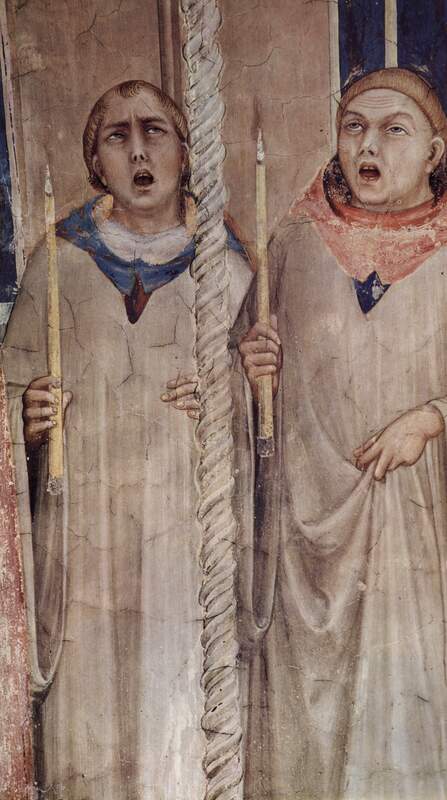 The music in this video is from the W1 manuscript of the ‘Magnus Liber Organi,’. The manuscript transmits polyphony belonging to the so called ‘Notre Dame’ school. 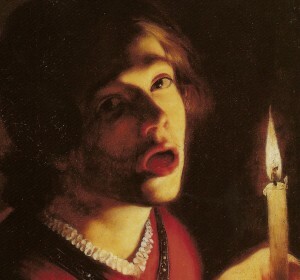 The text is the Ave Maria. The singer is a boy of 13 and it was recorded two weeks before his voice changed. 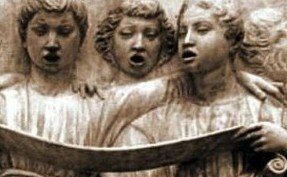 It is not only an example of medieval sacred song, but also represents the universal singing technique that was employed by choirboys throughout Europe from antiquity. 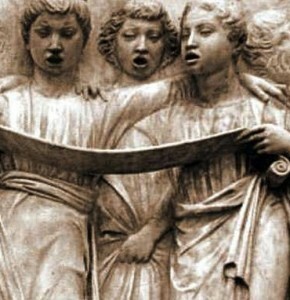 It was both a universal musical literacy and a universal organic vocal technique that was the foundation of western choral art. 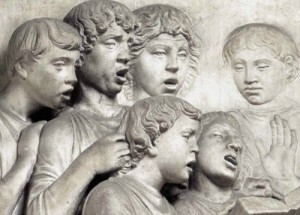 From a visual perspective one can also note the similarity of the technique found in this video with that of the paintings and sculpture of singers in Medieval and Renaissance art. 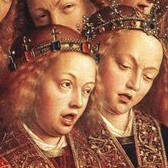 The technique, as demonstrated in the video, has been taught in a manner to best facilitate the acquisition of reflexive habit by drill and repetition of the most basic elements of correct singing. The ‘end‘ or driving concept being beauty of tone. Beauty of tone is the result of vowel purity and balanced registration. 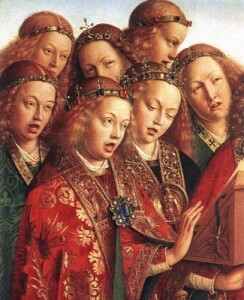 McGee, Timothy J., The Sound of Medieval Song: Ornamentation and Vocal Style according to the Treatises, (Oxford, Clarendon Press, 1998) pg. 22. 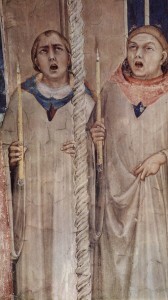 Waite, William, Twelfth-Century Polyphony in Theory and Practice, (New Haven, Yale University Press, 1954) Magnus liber organi de antiphonario: O24. Concede. Adjuvent Nos., page 32. Reid, Cornelius L. Reid, Bel Canto Principles and Practices, (New York, NY, The Joseph Patelson Music House, 1971) 37.